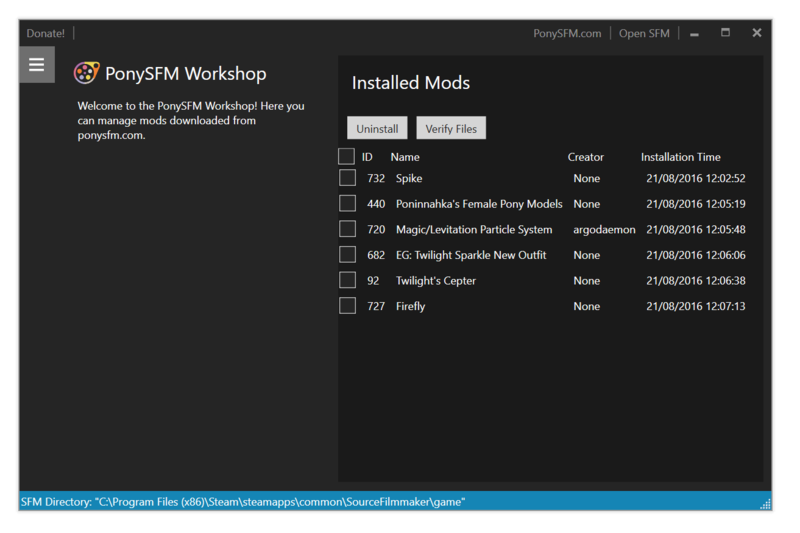 PonySFM was created as a central place for Bronies to find and distribute SFM content. From models to maps you can download a variety of community-created resources. The most popular My Little Pony SFM content. Right at your fingertips. Built-in version management, archive conversion/previewing. Comment, follow people and share content. A new client program that manages all your mods downloaded from PonySFM. All it takes is a single click and you're ready to go.